According to the Bureau of Labor Statistics, transportation incidents are the No. 1 cause of death in today’s workplaces. In 2014 (the most recent year for which data is available), 1,891 workers were killed in transportation incidents. That represented 40 percent of all fatal workplace injuries. Roadway incidents and pedestrian vehicular incidents accounted for most transportation-related fatalities. “You’ve got to have a program to protect your people,” Solomon said. “A proper operating fleet is a great investment. It saves lives, prevents injuries and saves money – which adds to the bottom line.” James A. Solomon, director of Defensive Driving Program Development and Training at the National Safety Council. 1. 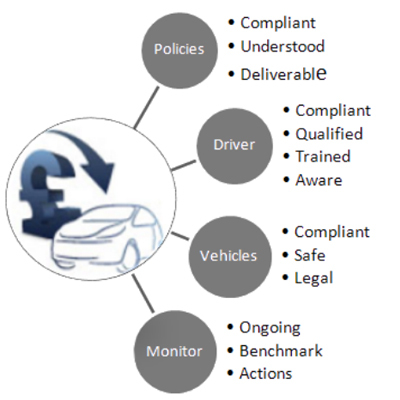 Driver performance: Clearly explain what is expected of the driver. 2. Performance monitoring: Monitor and review driving records and other indicators. 3. Performance evaluations: Compare employees’ performance against the standards and communicate with employees about areas of strength and/or weakness. 4. Corrective actions: Work with legal counsel to determine fair practices; many organizations use a progressive discipline process that includes remedial training such as defensive driving courses. 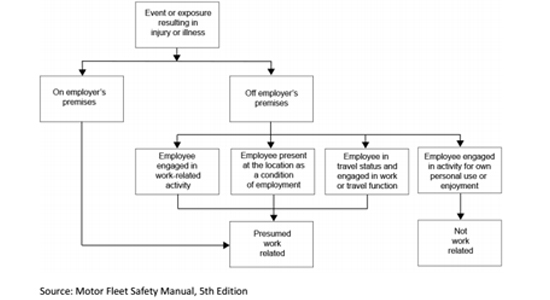 Although the fleet safety professional does not need to be an expert on all things maintenance,he or she should be well-versed enough to manage the process. Keep safety in mind when selecting fleet equipment. Support the maintenance program, which may take place onsite or offsite depending on the organization.An effective fleet management process can help reduce crashes, maintenance and downtime while improving employee morale and the organization’s public image. New hire training: For all incoming employees. Goal setting allows organizations to set a direction for their fleet safety programs. Goals can be specific to an individual or apply more broadly to a team. This entry was posted in Blog on April 26, 2017 by admin. Without a properly implemented fleet safety program, you may be putting the welfare of your employees and company at risk. A generic safety program is better than none. 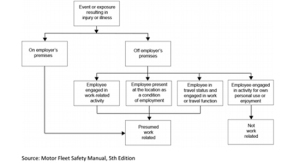 But it is far more effective to specifically design a fleet safety program for your company and your fleet. There are no guarantees that an accident will not happen. Because the road is one of the most dangerous places for your employees, establishing a formal and ongoing program of driver monitoring, screening, testing, inspection and training are essential. For any organization with a fleet of vehicles of any size, a formal fleet safety plan can provide a number of advantages, including improved safety, employee satisfaction and the potential to improve fleet efficiency. buy-in has to start at the top management. This entry was posted in Blog on April 17, 2017 by admin. This entry was posted in faq on April 6, 2017 by admin. 1800 Hows My Driving.com (FLEETWATCH® Systems) is the ‘original’ and most recognized brand name by it’s familiar yellow decal “Hows My Driving”. 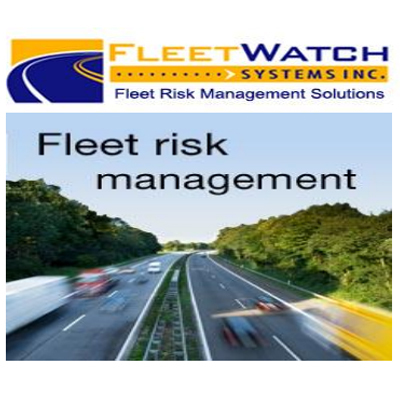 It is a risk management, safety enhancement program used by thousands of companies in the US and Canada to promote safety, reduce collision frequency, and other associated cost which may involve a potential lawsuit due to driver-related liability.